Francis & Benedict Collection Release Party! Ask and ye shall receive! You’ve been begging us to bring back Francis & Benedict, so they’re joining us for a very special evening. You’ll be able to try on their skirts in person and place an order for pieces from their latest “Statement Collection”. Don’t miss this special opportunity to shop with them in person before their newest collection sells out. We’re packing up and setting up shop at the October “Harold’s Cabin Brewnanza”! Mark your calendars to join us on 10/7 from 2-6 for live music, beer from Chugalug Wagon, and shopping with our vendors: BR Designs, The Tiny Tassel, Motherland Essentials, and Oysters All Around! Join Charleston’s newest greenhouse, Meeting Green, for a plant pop up! You’ll have the chance to meet the owner Kendal and ask for her expert advice on caring for your plants while you shop a selection of some of her indoor/outdoor plants! 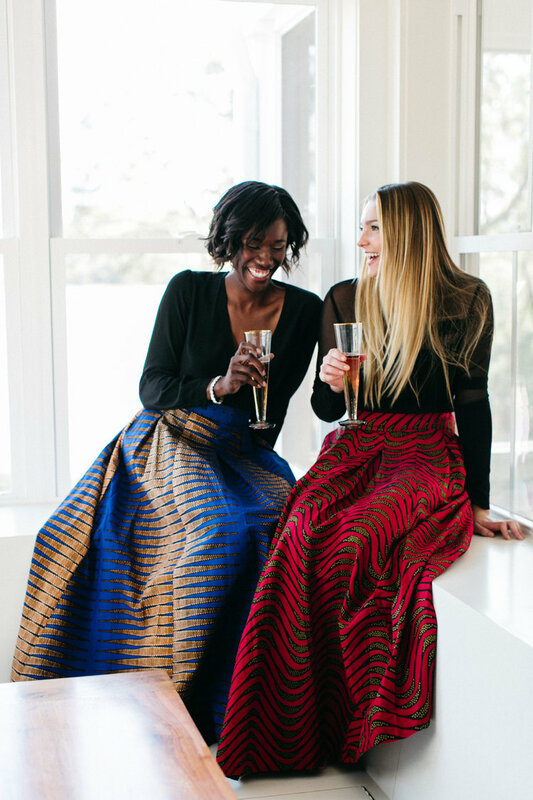 Join us for a trunk show to shop while you sip Christmas cocktails. We be open extended hours, and Francis + Benedict will have a giant selection of skirts available for purchase for one night only! Come meet a very talented jewelry designer, Catie Curran. Shop some of her amazing products like her stunning beetle winged jewelry! Come shop from the cutest plant truck in town! Haegur will be selling a variety of sizes and types of plants in handmade pots.